Expand search to view more listings in and around Phoenix. 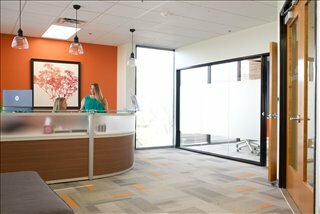 See more offices in and around Phoenix. 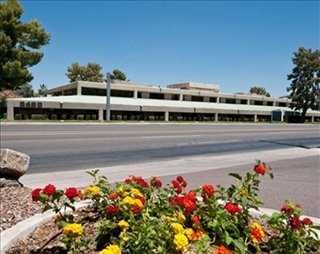 No matter what type of workspace solution you're searching for, you'll find your ideal Phoenix office space for lease with our convenient service. Our team's in-depth knowledge enables us to find the business space you require from a broad selection of excellent locations and office space options. 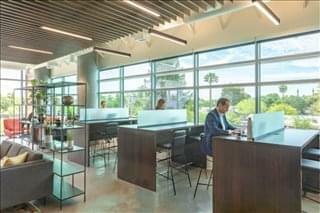 Many of the buildings we feature offer executive office suites, shared workspace and virtual office solutions. Typically, these are available immediately, offered on short term rental agreements from as little as one month. The rental rate is per person/workstation per month making it easy to budget for business accommodation. A large proportion of the offices we list offer a wide range of business support services which include telecommunications set up, internet and network wiring, reception and office administration personnel and, in some cases, IT support staff. In addition, numerous business centers also provide conference and meeting room services with free car parking, kitchen areas and, in some cases, even onsite gyms. 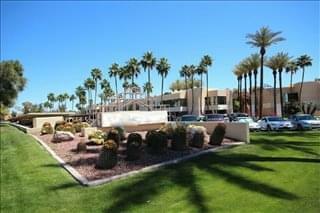 There are a range of office types available for rent in Phoenix, from serviced offices to shared workspace; from retail spaces to warehouse spaces and industrial space: from executive suites to small private offices shared between a few people. 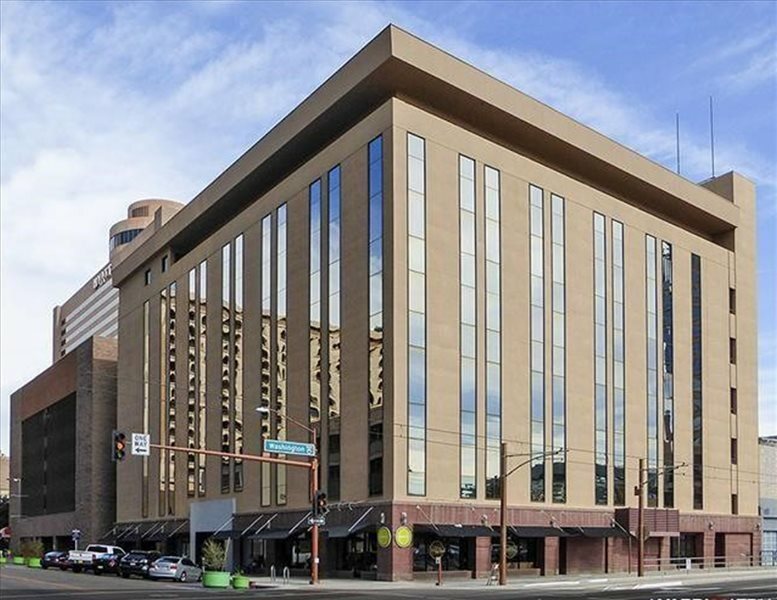 Whatever your requirements for the Phoenix commercial real estate, get in touch with us. 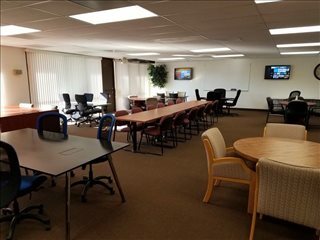 Executive Office Suites: Fully furnished, move-in ready private offices priced per person per month inclusive of a host of business support services, facilities and amenities such as professional reception staff, call taking, air conditioning, 24 hour access, meeting rooms and more. 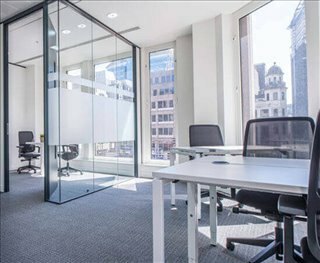 Private Offices: Fully furnished and move-in ready offices for a single person or to be shared between several people from the same company or team. Shared / Cowork Space: Open plan collaborative workspaces priced per person per month in a fully serviced setting with cabling, internet/WiFi and telecoms included. 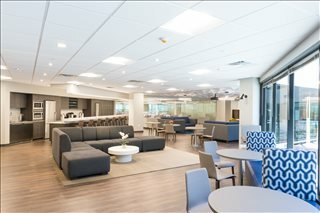 Facilities and amenities that are typically included in the monthly rental cost are break out areas, meeting rooms, kitchen/dining areas, parking and gyms. 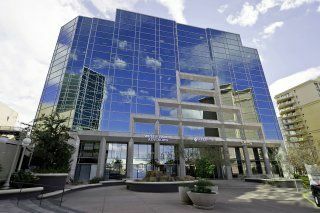 Virtual Office Services: A business address in a prime Phoenix, AZ location at a lower cost than renting office space. The price will vary depending on the services you opt to have included which can be anything from just a Phoenix business address to a full suite of business administration support services, meeting rooms, day office hire, and more. 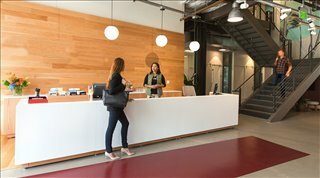 Offices.net's goal is to help you find the ideal work environment, arrange a rental agreement that suits you, and get you into your new offices as quickly and easily as possible. We would be happy to help you navigate the options and find the one that is best for you. 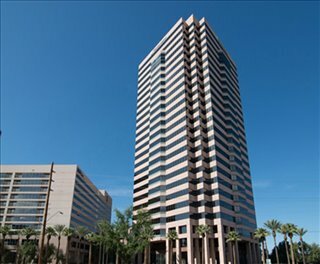 The office market in Phoenix, comprising some 175 million square feet, is spread across the central business district (CBD) (where most high-end office properties for lease are located), and several out-of-town sub-markets, the largest of which are the Airport Area, the Camelback Corridor, Chandler, Deer Valley, Scottsdale, Tempe, and Northwest Phoenix, AZ. A large (and growing) percentage of employment in office and admin support jobs means that speculative office development is plentiful in the Greater Phoenix area, especially in Scottsdale, Tempe, Chandler / Gilbert, and to a lesser extent, in the CBD. Growth is also spurred by the finance and tech sectors, which are clustered in out-of town sub-markets. 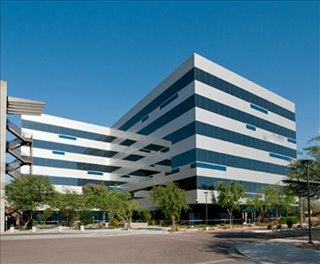 Medical offices are also in high demand across Phoenix, although the amount of inventory available is growing at a slower pace than conventional office space. Many office buildings in the CBD date from the 1960s and 1970s, when a population explosion and a subsequent period of rapid urban development took over the city. Notable buildings include the Phoenix Corporate Center (a 341-feet office tower that was the city's tallest for several years), Wells Fargo Plaza, Chase Tower, Phoenix Financial Center, and Phoenix City Square. 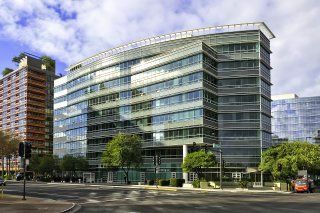 The local office market evidences a sustained decline in vacancy rates, and in early 2017 it was on its way to a 10-year record low. 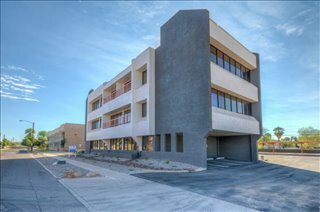 Availability is very limited in Arrowhead, 44th Street Corridor, Midtown, and Deer Valley, whereas areas with the highest amount of inventory available include Downtown North, Sky Harbor International Airport Area, and Chandler. Average asking rents are undergoing moderate growth across all classes, and average $24 / sq ft / year for Class A and $22 for Class B space. Rental values are expected to keep rising due to job gains and a generally favorable business and economic climate. 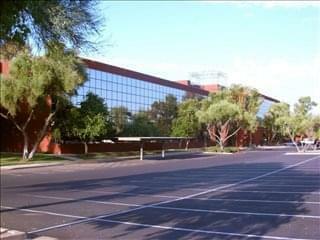 Companies renting office space in Phoenix will find a supportive and vibrant community in which to do business. Contact us and let us help you find the perfect business office space for lease in Arizona's largest city. With a population of over 1.6 million, Arizona's capital city is among the top five most populated urban centers in the United States. Phoenix has gone from being an agricultural center to a predominantly service-based economy relying on hi-tech in sectors like electronics manufacturing. A second period of rapid growth took place during the mid 2000s and up to the onset of financial crisis, when the city was one of the fastest-growing metropolises in the United States. 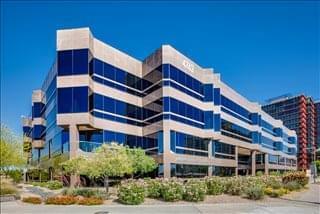 Finance and insurance are key industries in the city, since high-profile companies like American Express and Discover Financial operate large campuses in the Greater Phoenix area. 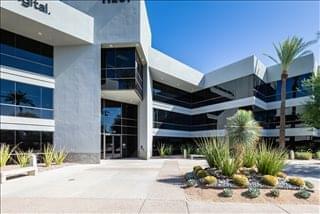 Manufacturing is also worth mentioning, since this sector's total output accounts for almost 10 percent of the city's GDP, and Phoenix is in fact one of the top 5 cities in the nation in areas of specialized manufacturing like defense, aerospace, computer parts, and appliances. This sector employs more than 150,000 people, many of which work for companies like Intel, Honeywell, JDA Software, and Microchip. Other important employers include the state of Arizona and the City of Phoenix, Walmart, Wells Fargo, JP Morgan Chase, Bank of America, Arizona State University, University of Phoenix, US Airways, American Express, Banner Health, Dignity Health, and Abrazo Healthcare. A strong supply of tech talent has resulted in Arizona's capital city having one of the top 20 lowest unemployment rates in the US in this high-value sector. Also contributing to Phoenix's dynamic business environment are a mix of Fortune 500 companies (such as IBM, Boeing, Intel, and Time Warner) and smaller independent businesses, which are assisted by several incentive programs offered by local and state authorities. 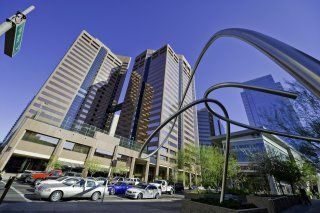 As a result, Phoenix has been listed by Forbes as one of the 40 best US cities for business and careers, making it an ideal location in which to rent office space. Phoenix is Arizona's largest city and its capital. With more than 1.6 million people, the city is the fifth most populous in the United States. Phoenix is the cultural and economic center of the American Southwest. It is also a major transportation and political center. With a growing population, Phoenix is one of the top job markets in the country. Major employers include real estate, financial services, manufacturing, health care, retail, wholesale, professional services, construction, waste management, and tourism sectors. We would love to help you find your perfect new work environment. Simply choose one or more of the Phoenix offices shown on this page. All of the spaces for lease listed on Offices.net are in excellent business locations, and are available for instant rent on flexible terms. 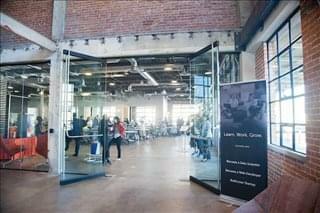 Contact us and we will be happy to help you find your ideal office space.